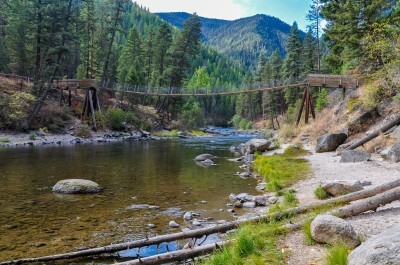 Missoula is home to four exceptional freestone rivers as well as countless small streams. There are over 350 miles of fish-able water within an hour of town. 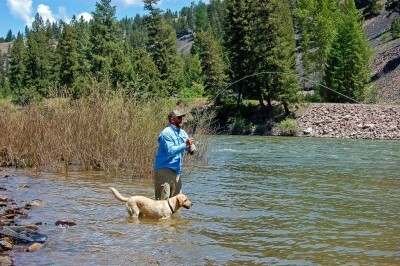 Whether you come for a few days or a couple weeks you will never run out of fly fishing options to explore. 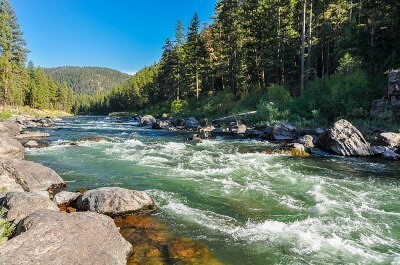 Our main streams include the Blackfoot River, highlighted in Robert Redford’s movie “A River Runs Through It”. 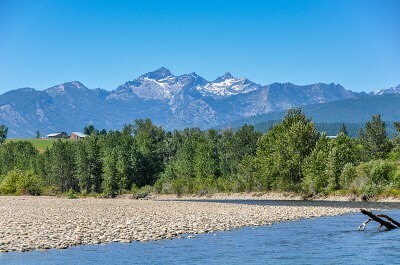 We also have the Bitterroot River to the south, the Clark Fork River, with it’s amazing diversity to the east and west, and the world renowned Rock Creek with its prolific hatches to the east. Add to that, the Missouri River, a bit further out, but well worth the effort at certain times of the year. 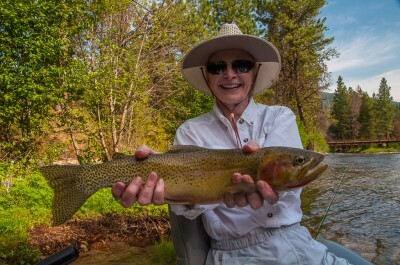 The Missoula area is truly a fly fishing paradise. The Bitterroot is everything you could ask for in a trout stream and then some. This is the most diverse river in our area and also the most consistent producer. Depending on the time of year you could find yourself throwing a size 6 stonefly in pocket water, or casting a size 20 trico to risers in a slick. The upper river south of Hamilton is governed by faster flows and eager cutthroat looking to pounce on hapless dry flies. 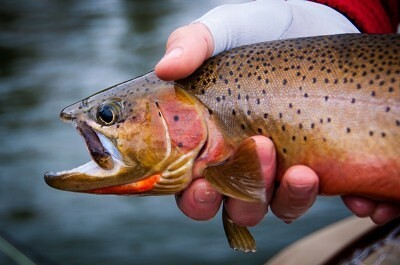 A more even mix of rainbows, cutthroat, and browns can be found mid-river which is characterized by numerous side channels, logjams, and classic fishy structure where trout feed by ambush. As the river nears Missoula it gets wider and slows somewhat. The lower river really shines during mayfly hatches where anglers test their skills against pods of rainbows and cuttbows actively rising to the surface. And there is always the distinct possibility of an outsized brown trout smashing your hopper along one of the many cutbanks. 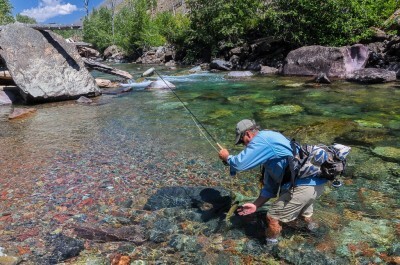 When you add the East and West Fork of the Bitterroot you gain an additional 50 miles of water that offers extraordinary float fishing during the Salmonfly madness of June and remarkable wade fishing the balance of the year. 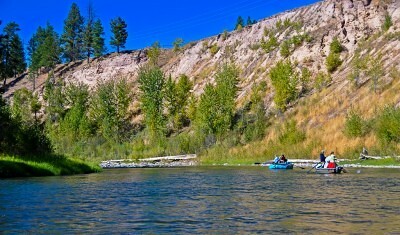 Montana fly fishing guides love this river and so will you! Glaciers worked over this landscape to create a river with towering canyon walls, boulder strewn pocket water, and deep emerald green pools. Made famous by Norman Macleans’ A River Runs Through It, the Blackfoot has benefited from intense conservation and rehabilitation efforts that have returned this stream to its former glory. This is great attractor pattern water, and there is nothing quite like watching a big cutthroat come off the bottom to drill a gaudy dry fly. 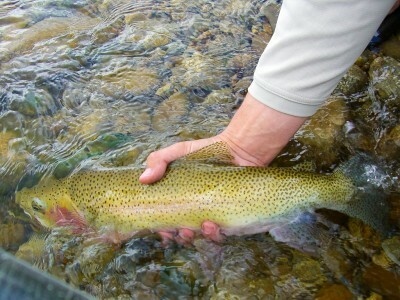 The mid and lower river has a high population of rainbows with good numbers of cutthroat and a few browns as well. 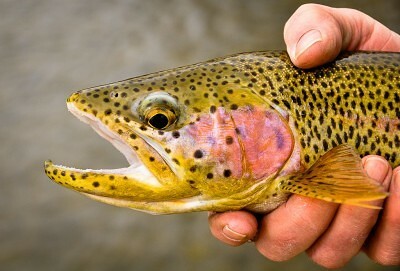 The upper river is home to more cutthroats and a larger average size trout. True giants lurk here, where rainbows and browns to 25” are not unheard of, and anywhere on the Blackfoot the chance to tangle with a 30+” bull trout is always possible. A float trip through the spectacular Box Canyon is an experience not to be missed. 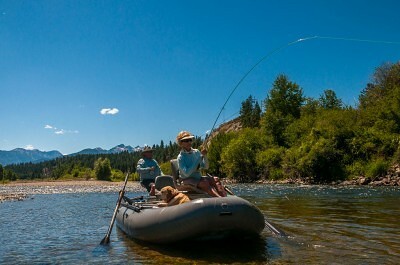 You will find the Blackfoot one of the most beautiful trout fishing rivers anywhere – Montana fly fishing guides. The Clark Fork is our largest river as everything in Western Montana eventually drains into it on the way to the Columbia. 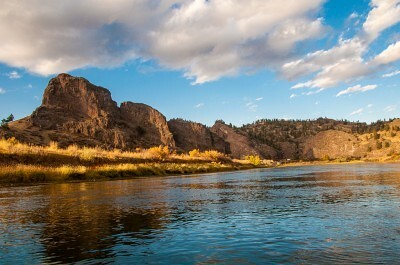 Characterized by long riffles and calm slicks this is the most underrated river in the state. 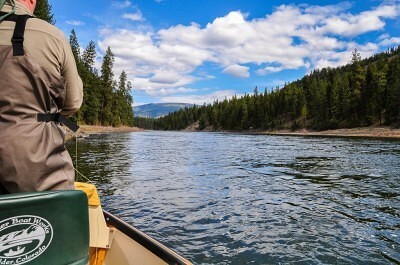 While it is overlooked by many, those who know it well consider the Clark Fork an astonishing fishery. 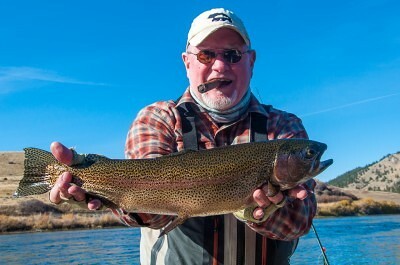 The river is populated mostly with rainbows and cuttbows that average 16” with many pushing the 20” mark. These fish typically congregate in pods to feed on the daily mayfly and evening caddis emergences. This is match the hatch fishing at its finest, and once these trout feel cold steel their reel screaming runs and stunning jumps will leave you begging for more. 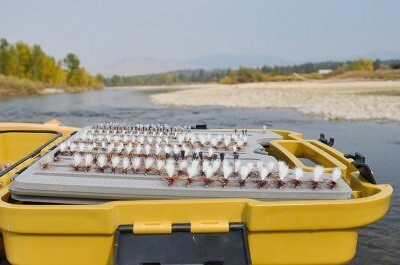 Many of our customers return each year to specifically target the rising trout on the Clark Fork. Rock Creek is simply the perfect trout stream. Unparalleled scenery, classic water, and the highest trout populations in the area all add up to a blue-ribbon fishery worthy of distinction. Rock Creek is perhaps most famous for its Salmonfly hatch where literal clouds of migrating insects can darken the sky at times. After the short float season in June Rock Creek becomes the premiere wade fishing destination in the area. Solid hatches keep the fish looking up all season and offer anglers the best chance at a Grand Slam, a cutthroat, brown, rainbow, brook, and bull trout all in one day. 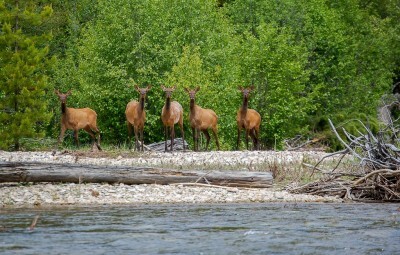 Public fishing access is plentiful and sightings of bighorn sheep, moose, and eagles are common occurrences. We guide on the upper 16 miles of Rock Creek outside the Forest Service boundary, but many anglers chose to wade fish on their own for a day or two during their trip. The Missouri is a tailwater fishery that offers clear and consistent flows with trout populations over 7,000 fish per mile and intense mayfly, midge and caddis hatches. This tremendous river is a great alternative when our local rivers are high and off-color due to spring snowmelt. Anglers are greeted by grand Big Sky vistas that haven’t changed much from when Lewis and Clark first explored the drainage. The main target is rainbow trout from 16-22”, but the chance at a trophy brown trout is always a reality. We primarily fish the Missouri from April through June and again in the late Fall. 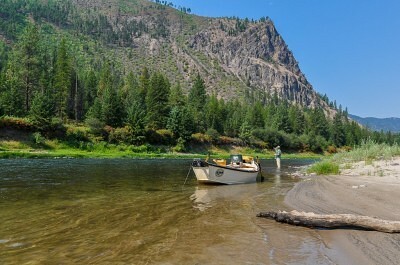 Deep nymph fishing is most effective near Holter dam with excellent dry fly opportunities further down the river. There are far too many fishing options in the Missoula area to list them all. We also guide on a number of smaller streams and lakes. These little gems can offer up some of the most unbelievable fly fishing of the year. Most are dependent on seasonal conditions and weather so if you are interested in a special adventure make sure to let us know when you schedule your trip. 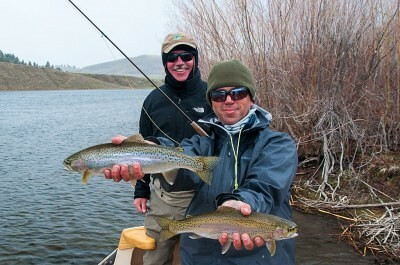 We can provide you with the finest Montana fly fishing guides and trout fishing experiences. Fly fishing Missoula was long overlooked in favor of the more famous waters of Yellowstone country or the big tailwaters of the Bighorn or Missouri. We actually prefer it that way! You won’t find overcrowded rivers in this corner of Montana or be told you can’t fish a certain stream because of complicated permit restrictions. And you certainly won’t be dunking nymphs under a strike indicator. Our rivers are all natural freestone streams full of wild trout that like to eat dry flies. Due to the diversity in our area we often float a different river each day and you’re not likely to see the same water twice, unless of course you want to. That variety also lends itself to fly fishing in relative solitude. We rarely see more than a couple other boats on the water any given day, and it’s one of the main reasons our fishing is so consistent. 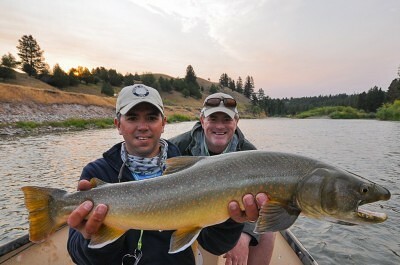 Weather is always a factor on any fishing trip and western Montana has some of the best weather in the state. Located in the “banana belt” - we experience the mildest spring and fall in Montana which leads to the earliest dry fly fishing in March, and the last surface fishing of the year in late October. Our summers are simply perfect, mostly dry with highs in the 80’s. Best of all we don’t suffer from the common high winds associated with Yellowstone country or the hordes of mosquitoes or biting flies of southwest Montana. We encourage you to fish Missoula with Montana Trout Outfitters this season and see what you’ve been missing all these years!